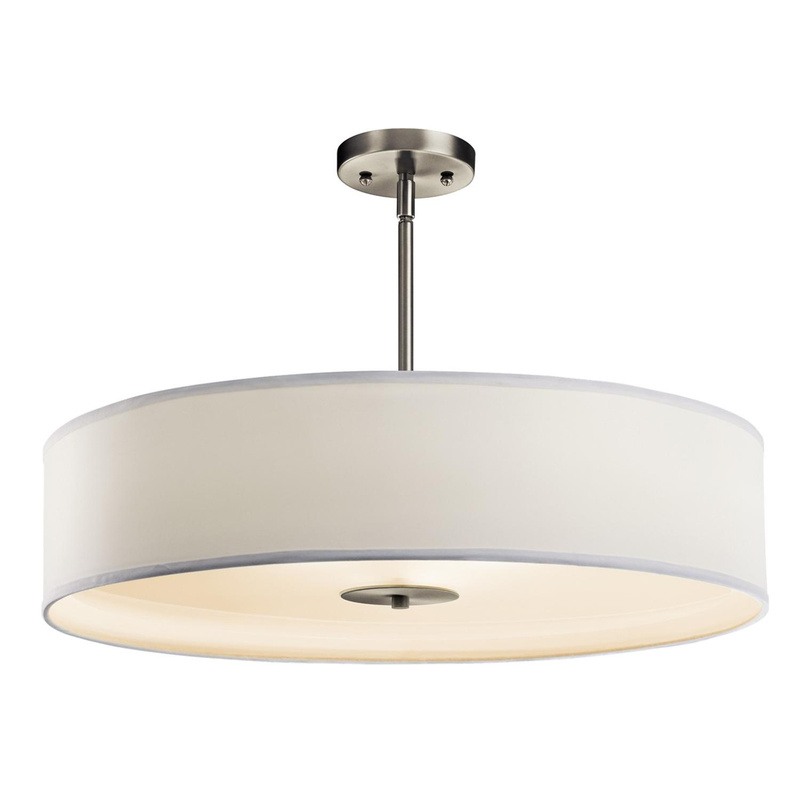 Kichler Signature Collection 3-Light inverted pendant in brushed nickel finish, features high-strength steel construction. Satin etched tempered glass diffuser with white micro fiber shade creates soft light to the surrounding. This pendant uses three 150-Watt A-19 incandescent or hybrid 32 - 50-Watt CFL lamps. Medium socket lamp has voltage rating of 120-Volts. It measures 24-Inch x 12.25-Inch x 44-Inch. This semi-flush mountable pendant is hung to the roof using 36-Inch chain/stem. It firmly attaches to ceiling via backplate of size 4.75-Inch Dia. This pendant comes with 74-Inch lead wire for hassle-free installation. Pendant is UL listed.